In Toronto, condo living has been and continues to remain strong. 40% of Torontonians live in apartments or condos. Condo living has many advantages – people often think of downtown living but, we know that there are spectacular condos all over the city. Often, the condos in the inner-suburbs are larger with square footage starting at around 1000sf. With so much space – it’s no wonder condo-owners are considering significant renovations. Condo living has many advantages such as: underground parking, swimming pool/spa, gym, professional maintenance, and for seniors’ no stairs in the unit is a big draw. Other amenities include: party rooms, spectacular city vistas and the list goes on. If your condo is outdated and tired there are many ways you can renovate the space, so it is fresh and up-to-date. We will discuss what to keep in mind when considering a condo renovation and how to start the process. For any project to be successful – you must prepare, this is especially true when embarking on a condominium renovation. As a condo owner, most likely you will have to submit a detailed proposal to your condo board before you can begin any improvements. Your condominium board will have the final say – they will determine what type of materials are to be used and when the renovation can take place. They may even determine that your renovator have certain qualifications and standards before your proposal is accepted. It is important to read through all the rules and limitations that your condominium building has in place regarding unit renovations. Once you are aware of the restrictions that are in place, you can begin working with your contractor to ensure that the condo renovation design will be in accordance with the rules of the condo building and will also maximize your living space to its fullest. Related Article: Read more about the must-know requirements for completing a condo renovation in Toronto. With all home projects, there are design considerations that you must keep in mind when renovating your living space. Firstly, it is important to know your reasoning behind the condo renovation. If the renovation is to raise the value of your condo unit prior to selling, focus on key areas – bathrooms & kitchens. If you’re renovating so you and your family will enjoy it for many years to come – then you know it’s a long-term investment your plans will be for the benefit and comfort of your whole family. Most condominium floor plans are fixed and can’t be adjusted – you will not be able to make structure changes since they would affect the entire building and not just your unit. That being said – you’d be pleasantly surprised to know what areas can be changed. Often the walls inside your unit are not load-bearing and therefore can be altered. If you’re flexible in terms of structural limitations you will discover that you have more options that you may have first thought. It is possible to change your condo’s layout without interfering with the building’s structural integrity. For example, room sizes can be changed by moving interior walls, layouts can be changed by repositioning a door. Related Article: Read more about how you can update your kitchen with our kitchen renovation guide. Even if you are limited in terms of space, this does not mean that you can’t make a significant change to your unit. 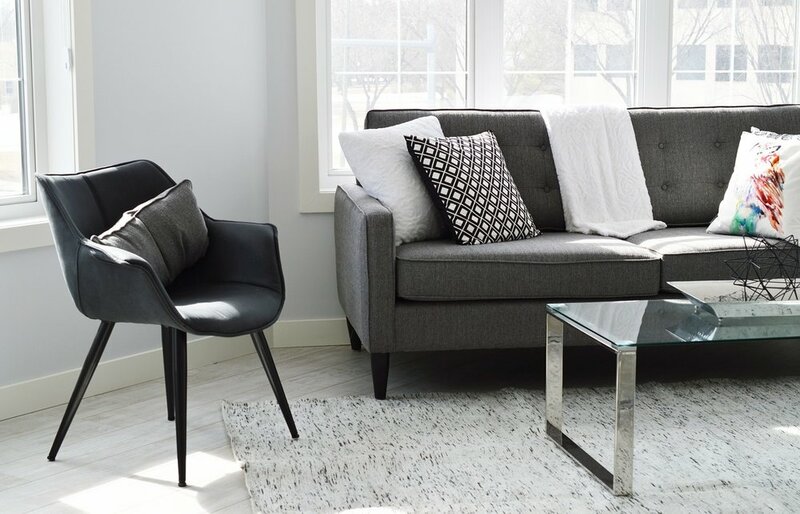 By maximizing the effect of certain features such as lighting, flooring, colour and storage you can not only make your space seem larger but it will also ultimately improve the aesthetics of your condo two-fold. For example, consider adding a hanging pendant light fixture over a kitchen island or use flush ceiling lights in the living room to make it seem more spacious. Having the same flooring and a neutral colour palette throughout your condo unit can also add to the seamless feel of the unit making it feel larger than it is. The trick to getting the most out of a condo renovation is to ensure that the design style that you choose is cohesive. This will ensure that the project not only stays on track but will also look flawless. Consider choosing colour palettes for each room that compliments one other and keep a more minimalistic look for smaller spaces. Having a seamless aesthetic throughout your condo unit will both improve the overall value but will also allow you to incorporate exactly what you want in your home without going outside the project limitations. A renovation or design remodel can do wonders for giving new life to your condo. If you are considering a condo renovation soon, ensure that you know exactly what scope you have in terms of rules and limitations. Unlike other renovators, Bryant Renovations enjoys the challenges that condo renovation can present and have extensive experience in working around structural limitations to turn your condo space into the masterpiece you are searching for. Contact our experts today and we will provide you with knowledgeable insights and advice.